Hey 6th graders – would you like to go to Six Flags free this summer? There is still time to complete Read to Succeed program. 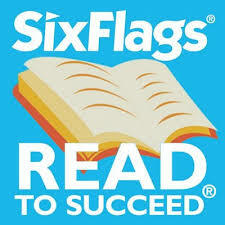 Log your recreational reading hours and participate in the Six Flags “Read to Succeed” Program to receive one free admission ticket to a participating Six Flags Theme Park this summer. Every 6th grade student who completes six hours of recreational reading and submits a signed reading log by FRIDAY, FEBRUARY 25th to their ELA teacher will receive one free admission ticket to a participating Six Flags Theme Park this summer. Logs were sent home with your 6th grader before holiday break. If you need another log, click on the link below. Any questions, contact Katie Maroney in the Hauser library at moroneyk@district96.org.